As you would be thinking that switching of apps is not a tough task, but would you be not happy to hear that, it becomes more easy to switch between apps in this tutorial. If you would like to improve the responsiveness of an app, it can be only done by disabling Max/Min animation on all new set Windows 8. As you disable the Max/Min animation, it will quickly help you switch between the apps, thereby making it faster. You should give a self try to it , check out “how easy and fast the switching of apps takes place”. Lets check how is it possible! 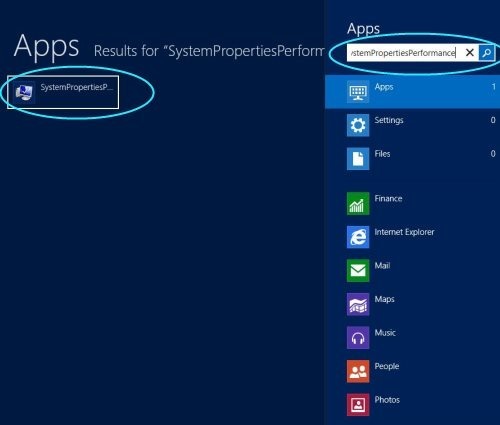 Go to “Start Menu”, type “SystemPropertiesPerformance” and press enter. 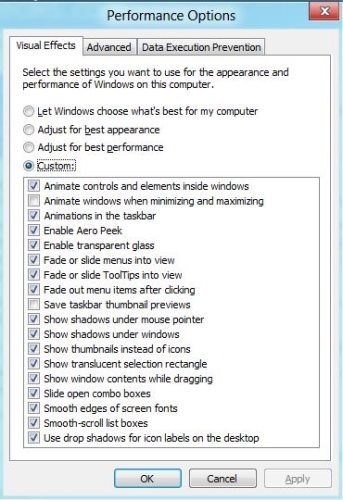 You will get to see a pop-up, named as “Performance Options”, click “Visual Effects” tab to remove and locate the option to uncheck on “Animate Windows When Minimizing and Maximizing”. Now, Click on “Ok” to get set go and get the changes affected on your Windows 8 PC. Also, check out our post on WinLaunch Mac OS X Lainchpad. Eventually, it created an unnecessary delay while switching between Windows. Now, it will take same time as you blink and open your eye. Go ahead and give it try..